FX, India’s edgy English entertainment channel is back with yet another impeccable sci-fi series‘Eureka’. Popular for its one-of-a-kindconcept, Eureka follows the lives of the citizens based in a fictional top-secret town called Eureka in Oregan, Pacific Northwest. The show that perfectly blends humour with groundbreaking technology and a unique plot raked in massive admiration by critics and fans alike! To get the summers going with immense quirkiness and enthrallment, FX is all set to premiere the most loved sci-fi show ‘Eureka’ for the first time in India on Thursday May 26th. The Emmy Award nominated TV series stars popular actors - Lake Placid and Because I Said So star Colin Ferguson along with Percy Jackson & the Olympians: The Lightning Thief and Blade star Erica Cerra, Jordan Hinson of Glass House fame and Joe Morton of Scandal, Terminator and Speed fame. Eureka is all set to premiere in India this Thursday, May 26th at 9 PM on FX and FX HD and will continue to air every Monday to Friday at the same time. The story follows Deputy United States Marshal, Jack Carter, who stumbles upon the town of Eureka while transporting a fugitive prisoner (his own rebellious teenage daughter Zoe) back to her mother's home in Los Angeles. Camouflaged by an electromagnetic shield, the town is operated by a corporation called Global Dynamics (GD), which is overseen by the United States Department of Defense. The town's existence and location are closely guarded secrets. However, when a faulty experiment cripples the Sheriff of Eureka, Carter finds himself quickly chosen to fill the vacancy. Despite not being a genius like most members of the town, Jack Carter demonstrates a remarkable ability to connect to others with keen and practical insights, and a dedication to preserving the safety of Eureka. If you are a Sci-Fi fan and love spaceships, robots, and explosions, then addiction to the quirkiness of Eureka is guaranteed. Every episode promises an ‘aha!’Eureka moment. 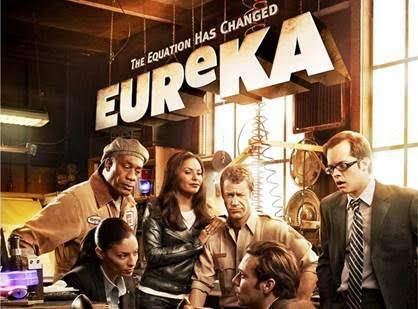 Tune-in to ‘Eureka’ every Monday to Friday starting this Thursday, May 26th at 9 PM only on FX and FX HD! Say hello to Chase and his 'Entourage' on FX! The musical notes collide as Empire's finale approaches on FX! FX premieres Seasons 1 & 2 of hit crime thriller series 'The Bridge'! Celebrate this Women's Day with a power-packed line-up by Star World Premiere HD & FX! 'Minority Report' makes its way to FX to enthrall audiences! M. Night Shyamlan's mystery series 'Wayward Pines' to air on FX!